Founded at the beginning of 2002, add is a nongovernmental, non-profit registered organization, which has as mission the development of youth’s creative abilities. The organization acts as catalyst for new ideas and strategies of collaboration between, artists and cultural institutions on the one hand and companies from the business community on the other. 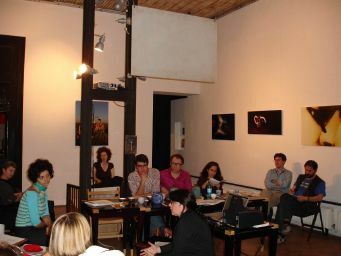 The purpose is to help young artists and creative people and to offer other categories of youths opportunities to participate in art projects, as well as to bring into the dialogue with the business sector issues like the value of culture in today’s Romanian society and modalities of supporting the arts. All of our initiatives and programs (i.e. Introducing marketing to cultural organizations, urban journeys, add knowledge library etc.) are emphasizing on creativity, multidisciplinary approach, professionalism and a strong sense of looking forward for strategic solutions. 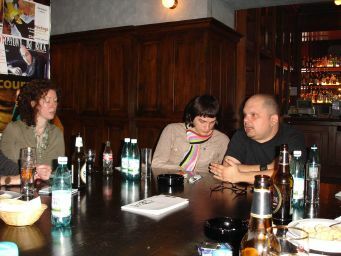 artphoto is an international non-profit organization based in Bucharest with an office in New York. artphoto was established in 2001 and has become recognized for publishing the magazine and for major exhibitions presenting works by internationally established artists. The aim is to actively participate in contemporary culture by introducing and presenting artists & theoreticians and supporting artistic work. artphoto purpose is to promote the exchange of art and ideas through international programs and the presentation of contemporary arts. artphoto programs work globally and locally, bringing together an international vision of art and cross-cultural exchange with a commitment to community involvement and the enrichment of Romania cultural resources. PAVILION has a temporary structure, always changing. PAVILION is an award-winning magazine of art and culture that confounds expectations of what is typically meant by the words "art," "culture," and sometimes even "magazine." PAVILION is presenting wide-ranging, multi-disciplinary content in each issue through the varied formats of regular columns, essays, interviews, and artist projects. The list of collaborating writers and artists includes: Isaac Julien, Jeff Koons, Kutlug Ataman, John Goto, Common Culture, Maurizio Cattelan, Hans Ulrich Obrist, Boris Groys, Lev Manovich, Erwin Wurm, Tracey Emin, Mona Hatoum, and many more. 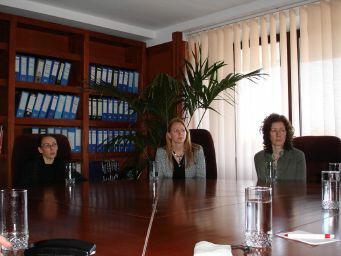 Founded in 1998, the Ecumest Association (Bucharest) is a non-governmental organisation that develops cooperation programmes on international level, with a special focus on Central and East Europe. The association operates within the field of cultural politics and professional development, promoting cooperation in the cultural sector and sustaining the mobility of young artists and journalists from East European countries. Through its informative, mediation, research, training and lobby activities, ECUMEST aims at contributing to the development of coherent cultural strategies in Romania, Central and East Europe. 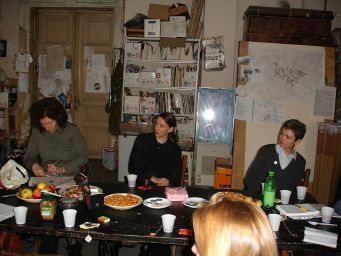 The association promotes and supports international cultural exchange and collaboration by a large international network of contacts and partners in various fields of activity. 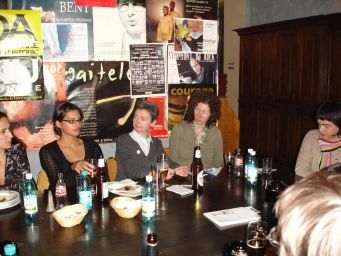 ECUMEST is an active member of several European networks such as IETM – Informal European Theatre Meeting, ENCATC - European Network of Cultural Administration Training Centres, INCD - International Network on Cultural Diversity, and Balkan Express. Seeking to promote the Romanian cultural sector and to develop cooperation projects, in 2005 ECUMEST published A short guide to the Romanian cultural sector today. Mapping opportunities for cultural cooperation (commissioned by the Royal Embassy of Netherland and supported by the Romanian Cultural Institute), alongside with various other studies, essays and publications available on its web page www.ecumest.ro. 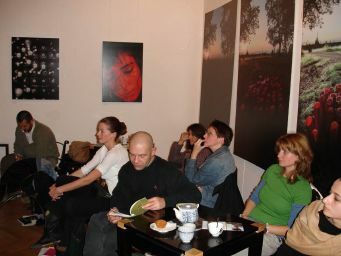 Within the context of contemporary art galleries in Bucharest, Galeria Noua has, from its opening in October 2001, a clear identity in terms both of its profile (photography and new media) and the coherence of its exhibitions and events. 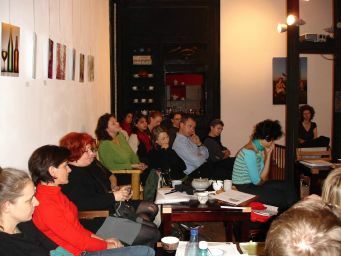 Galeria Noua is a NGO that presents Romanian and international artists, and collaborates with local and European galleries, museums and contemporary art centres. 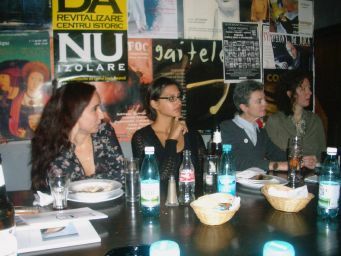 Besides the exhibition programme (that maintains a balance between the presentation of established Romanian and international artists and the support of emerging artists), Galeria Noua functions as a place for dialogue and information on contemporary art topics, succeeding in being both a mainstream space and an alternative one. In order to keep the coherence of the programme, exhibitions are initiated and/or selected by a board led by the curator Aurora Kiraly. 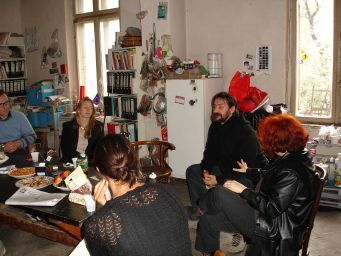 The board gathers twice a year and selects projects and artists to be presented in the gallery. Founded in 2003 by Matei Caltia, Galeria Posibila soon established itself as a leading institution on the Romanian art market. Dealing both with artists and collectors and trying to make room for new representations of art in the Romanian art scene the gallery is actively supporting young artists to produce and exhibit their works. Printing catalogues that overview the local visual art scene or that focuses on one particular artist, help improve the local awareness on artists and art itself. From 2006 the gallery’s aim is to get an international experience and to help build a wider awareness for its artists, by participating to international Art Fairs, eg. Bologna Arte Fiera, or by exhibiting in galleries abroad, eg. Galleri Centrum, Graz. The gallery portfolio contains numerous young Romanian artists that are national wide appreciated as well as emerging ones. Roman Tolici, Nicu Ilfoveanu, Florin Ciulache, Iuliana Vîlsan, Gheorghe Fikl, Vali Chincisan, Irina Botea, or recently “M.Sterian” art prize winner Gili Mocanu are among the best of them. 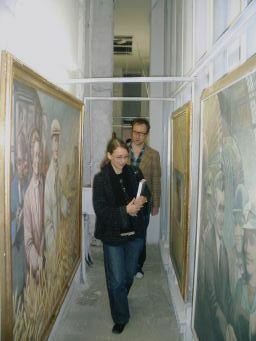 For 2006 the gallery prepares a glimpse on contemporary Romanian drawing, starting with Roman Tolici from February.